Hundreds of IAM members this week descended on Washington D.C. at one of the the largest legislative conferences in organized labor. IAM members fanned out on Capitol Hill and met with lawmakers from both parties and pressed for legislation that would better the lives of workers and their families. Ohio Senator Sherrod Brown, a stalwart of labor and workers’ rights, electrified the delegates when he emphasized the vital importance of the IAM-Delta campaign to all workers in the United States. 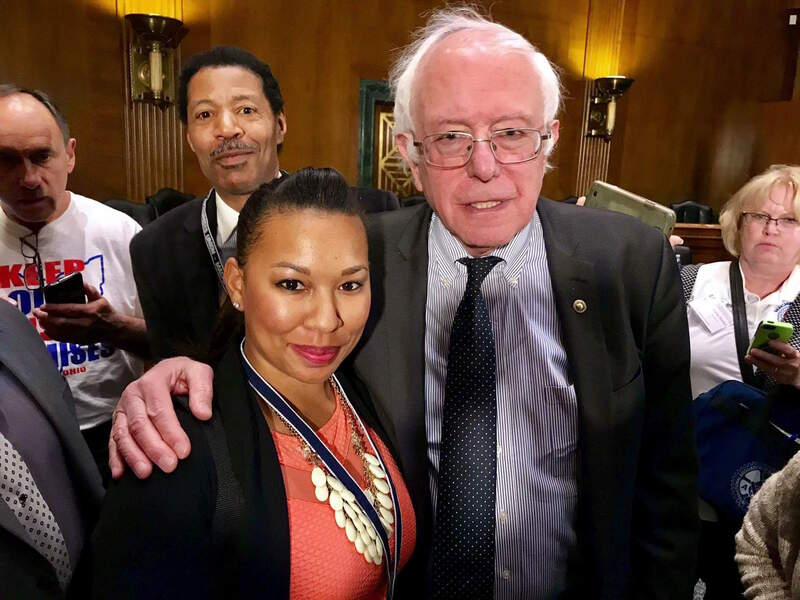 IAM-represented airline workers, including flight attendants, met with the likes of Senators Elisabeth Warren (D-MA), Bernie Sanders (I-VT), Sherrod Brown (D-OH), Al Franken (D-MN) and many others. Flight Attendants and Customer Service Agents (CSAs) lobbied Congress to adopt a 10-hour minimum rest requirement for flight attendants and pushed Congress to adopt an "Employee Assult Prevention and Response Plan." This plan would include guidelines for CSAs should they encounter violent behavior. The IAM’s Legislative Department Director, Hasan Solomon, updated conference delegates on the status of important legislation and the union’s legislative strategies for the 115th Congress. International President Bob Martinez Jr. gave the keynote address and stressed the importance of IAM’s resolve in the face of many attacks on organized labor and thanked delegates for their continued hard work back in their home states. IAM delegates concluded the week with the Machinists Non-Partisan Political League (MNPL) conference. The MNPL was created in 1947 to allow IAM members to gather individual contributions, coordinate political activity, and elect candidates who support IAM members and their families. It’s important to note that any money from the MNPL given to candidates for political office comes from IAM member donations and NOT from union dues.